What's Going To Be In Da Bag 2019? For many like me we won't play again until March/April but wanting something golf to do I am putting me starting bag together for 2019. So, what are youse guys tinkering with? Lots of changes for 2019 !!!! Hybrids: NONE....at least to start out with. If a gap appears between the woods and irons, I'll put one in. Irons: Cobra F Max One length, 6-Pw. Brand new, and hitting them indoors so far, they feel GREAT! Can't wait to get to Florida in a couple of weeks and try out all the new stuff!!! Ah, man, there's always a better mousetrap out there. Similar for me. I'm always open to driver experimentation, but my plan is to work on consistency, and that means sticking with the same equipment for awhile. This stuff was starting to work well for me at the end of last year. All with various regular flex graphite shafts except the putter. I have an M2 2016 HL 16.5° 3 wood and it is good but the Pinhawk SL's I like better. My M2 3 has the stock Reax 65g R flex shaft. I could easily be talked out of it. it's excellent, bought it off Jamez a couple years back at Desert Storm and it could be the most solid, longest fw I have ever hit. I absolutely destroy it off the tee and accurate with it.....to the point that my matchplay partner only lets me hit driver on par 5's I can reach in 2.
every bit as good as my previous favs Aston X1 and Wishon 949mc. I also have to give the SL 3 wood some respect, need more than 5 rounds with it though. I retired to Florida and play 3 times a week all year round. Bag: all my old and beaten component clubs have retired to the garage also. Putter: Changes weekly, presently an old Cameron Newport 1.5, or old 2 -ball. 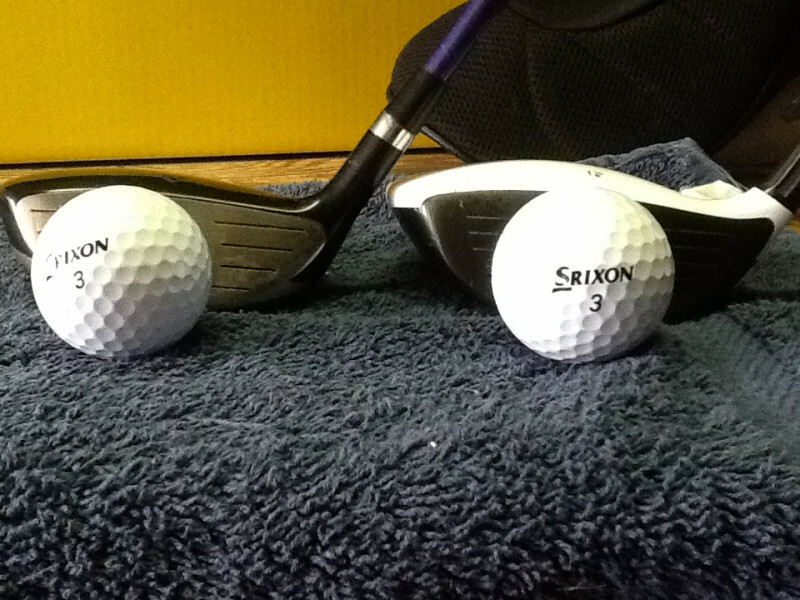 balls: Callaway Supersoft, Titleist Tour Soft or AVX. On bad days-Pinnacle Gold. Rickochet outta curiosity how is the m2 sit? Assuming.its.middle of the road face ht., etc. ode outta chriosity how is the m2 sit? Assuming.its.mide of the road face ht., etc. It is not a low profile head for sure. It looks very nice at address. The white paint in front of the composite material is a very good alignment aid. I really haven't hit it very much. I bought it on a whim after liking the M2 driver. ode outta curiosity how is the m2 sit? Assuming.its.middle of the road face ht., etc. And nary a pic to be found. Lots of tinkering done late season and more to go before next season. I haven't changed anything since last week. And I do not expect anything to change until next week. Putter: Wilson Staff Infinite Michigan Ave.
Sparky I haven't changed anything since last week. And I do not expect anything to change until next week. DANG IT! Bought two Bettinardi putters last night. I thought for sure I'd make it through the week since I am on a business trip. Driver 1: callaway rogue sz-9 deg, 203g, 46.5"
Driver 2: callaway diablo octane tour, 90g shaft about 215 grams ( head cotton balled), 45"
The rogue sz is my main driver, #2 comes out when #1 is not working or when i need a bit less distance. #3 is the stinger/fairway finder- i prefer this over teeing off with my 3 wood. Sometimes I just feel like outdriving my buddies and their $500 drivers with my piece of sh$% #2 or #3 driver- this is fun! PInhawk SL 5w, PING G400 irons, PING Eye 2 Gorge SW, Scotty Fastback, and Odyssey 2Ball steel will remain. Driver shopping now. Playing a PING G SF Tec driver now and will have a Cobra Max soon. Orange No Brainer and a Tille OMG 56 degree will get a demo to see it they can find a home with me. sdandrea1 PInhawk SL 5w and In1Zone SL driver will remain. PING G400 irons will remain. Scotty Fastback will remain. Power Play Select 5000 hybrid irons will remain. Odyssey 2Ball steel will remain. Everything else is game to be replaced. Holy crap Steve, what a combo. I have a like new In1Zone Sl 14° driver if you need one for your second bag. Rickochet Holy crap Steve, what a combo. I have a like new In1Zone Sl 14° driver if you need one for your second bag. I'm gaming the 12 degree with an Adam's shaft. Fairway finder! 3w. Cally epic sub zero.